The Radical World Cup ‘kicks off’ at the end of August, with a full grid of cars set to support the Le Mans Series event at Donington Park (August 26-27). Over 30 entries are already confirmed and several more teams are expected to enter. Currently nine SR8 teams are entered, headed by the leading Radical Enduro team, Team Quaife, while Touring Car ace David Leslie will be partnering SR8 owner/driver Steve Jones. Four teams from Germany, headed by Radical Germany’s Christian Droop will be attending, as will four teams from Radical Portugal. 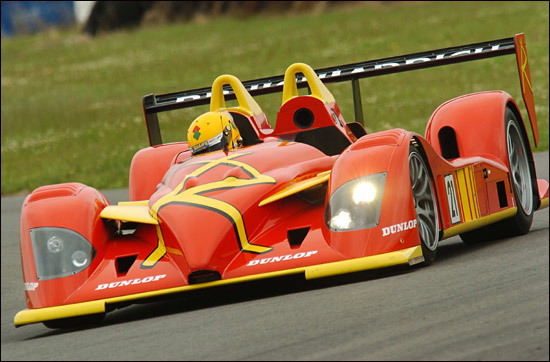 Jacob Greaves has enlisted the help of Le Mans driver and Radical test pilot, Michael Vergers in the SR4 class, while Jacob's father, Tim, will be driving both his SR8 with co-pilot Stuart Moseley in the Radical World Cup and his AER-powered SR9 in the Le Mans Series. The second round of the Radical World Cup will take place at Spa Francorchamps on October 6-8, with the third and fourth events at Estoril and Dubai. Spa should see a grid of 60 cars lining up. The third round of the Radical World Cup at Estoril, in Portugal, has moved forward a week to November 4-5. Grids for this round are expected to be forty plus with 20 teams from the Radical Portuguese Cup joining forces with UK and German teams. The last round of the Radical World Cup has also moved, to December 14-15. The date change will enable teams to ship cars to Dubai by sea ensuring costs are kept to a minimum. As with the other rounds a healthy grid is expected with a contingent of drivers from the Gulf Radical Cup being joined by the European drivers. · Invitation - for Radical cars not complying to the above.